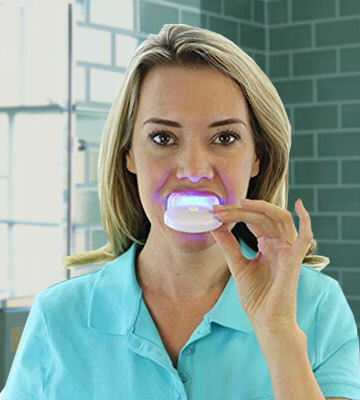 LED light with 5 bulbs is fixed to the mouth tray, eliminating the need for you to hold it in hands while treating teeth. A relatively short lifespan of the mouth tray. LED light helps the bleaching gel penetrate deeper into the enamel without causing tooth sensitivity. 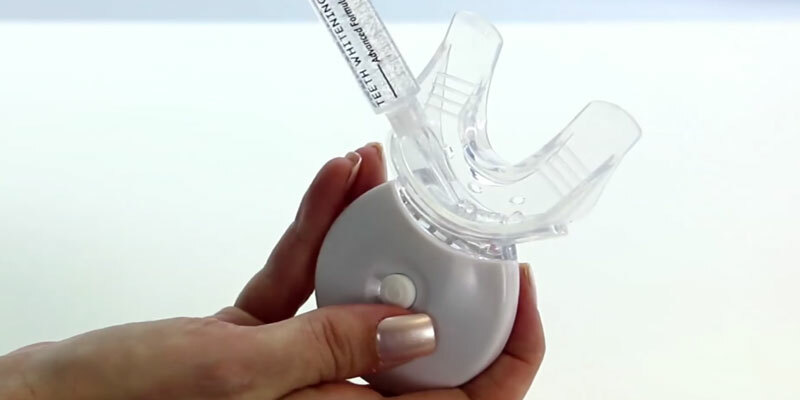 With the AuraGlow Teeth Whitening Kit, you'll have a beautiful ultra-white smile! Thanks to the Advanced Seal™ Technology, the strips are held properly in place, allowing you to talk and even drink water while bleaching teeth. Short bleaching strip may not cover the lower teeth completely. Never has it been so easy before to make your teeth several shades whiter without attending a professional dentist. This one kit will be more than sufficient to transform your smile completely. There are different sets available for sale. Bentonite, being one of the main ingredients of this teeth whitening powder, eliminates dental sensitivity, allows for remineralizing teeth and restoration of mineral density as well as effectively prevents tooth decay. The whitening process looks not very attractive because of the black powder. Would you like to have a whiter-looking smile and healthier teeth? 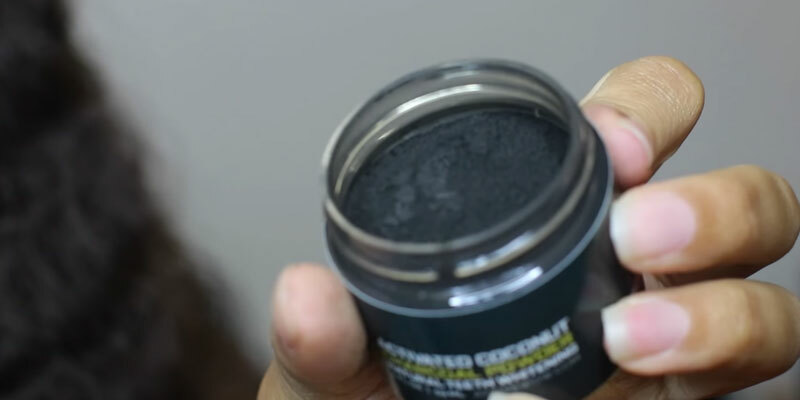 Then, you should definitely try the Active Wow Charcoal Powder and see its amazing results for yourself. 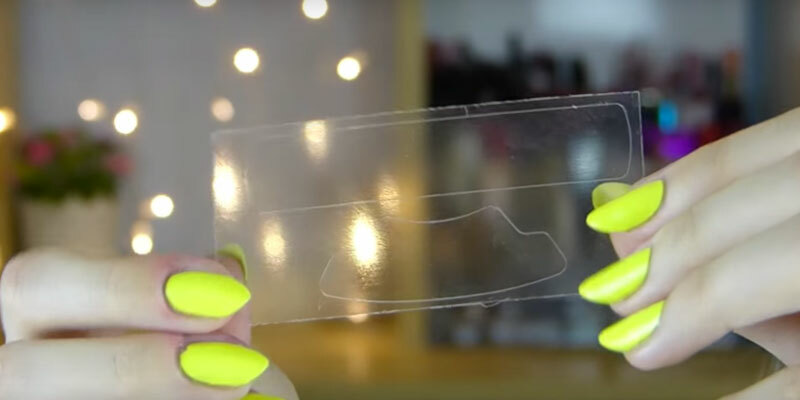 An innovative clear tube design enables you to keep track of how much gel is left inside. The brush cap may not fit snugly over time. 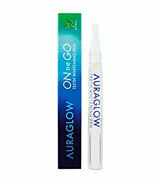 This compact Aura Glow Teeth Whitening Pen is the perfect choice for those who are always on the run. Whitening your teeth with this gel for about 1-2 minutes a day during a week will let you achieve professional-level teeth whitening results you will be impressed with. You can choose from DayWhite or NiteWhite packs, depending on your lifestyle and personal needs. A mouth tray is not included (sold separately). With this clinically proven ACP Formula, you'll achieve up to several shades whiter teeth after 2-3 treatments already. Available in different packages and 4 scents. 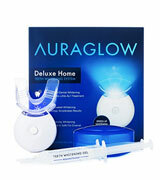 The AuraGlow LED Light Teeth Whitening Kit will provide you with perfect whitening results. The secret of its efficiency lies in the combination of bleaching gel and cool light technology. The whitening gel contains 35% carbamide peroxide, being the most effective ingredient for removing coffee, wine, soda, and nicotine stains. 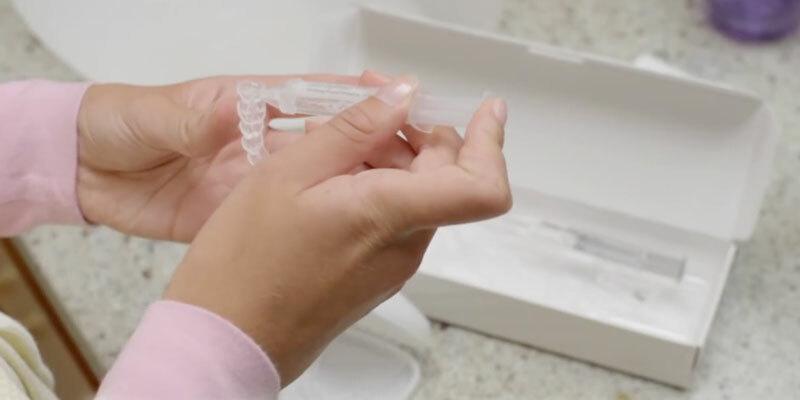 The kit includes 2 gel syringes (0.17 fl oz each) that should be enough for about 20 whitening treatments. The unique gel formula is absolutely safe for teeth enamel, doesn't trigger teeth sensitivity, and is suitable for implants and crowns. The bleaching procedure itself is very simple. All you need to do is apply some whitening gel around the front interior of the mouth tray and then, put it on your teeth. The tray is created in a shape that fits properly any mouth and bite, and thus, it can be used by both teens and adults alike. 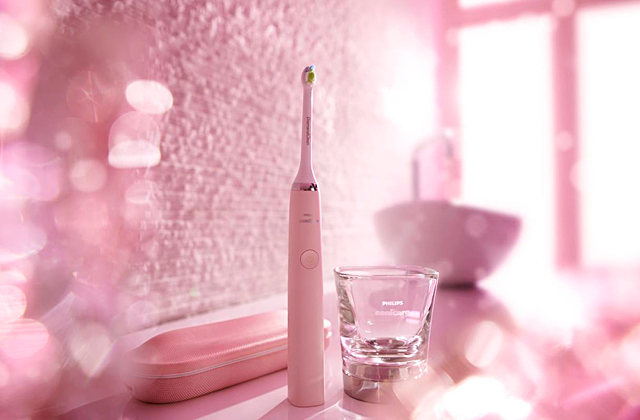 The best part about the kit is that it features the LED light and uses cool light technology; this allows it to penetrate the enamel deeper and provide incredible whitening results much quicker. The unit operates on two CR2450 batteries and can work continuously for about 24-48 hours before they run out of power. Ease of use is one of the key advantages of this whitening kit. 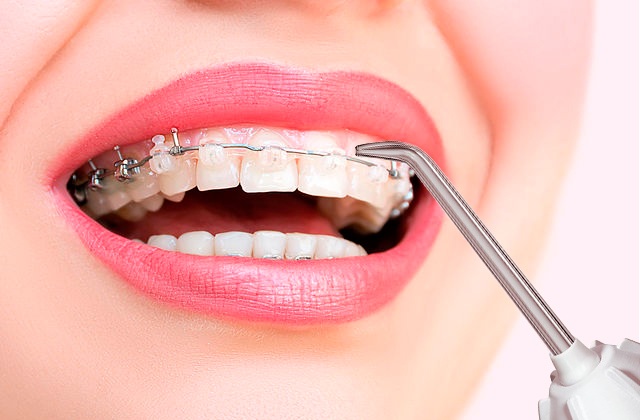 Apply a little bit of gel (about 0.3-0.5 ml or 1/10 syringe) to the front interior of the mouth tray, insert it into your mouth, and bite down gently to place properly over your teeth. 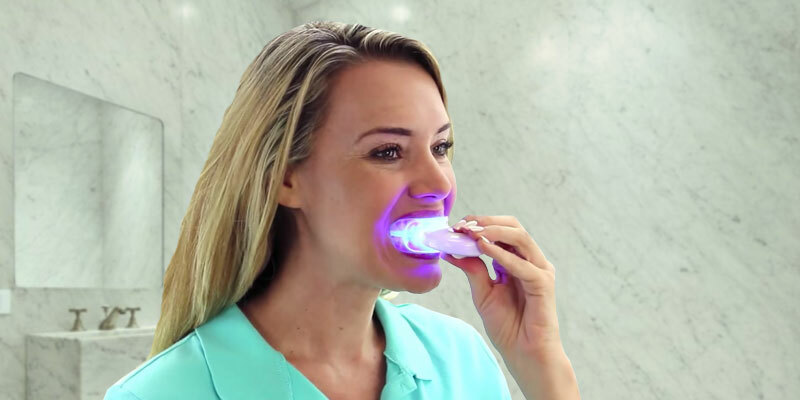 For hands-free whitening treatment, you can attach the light to the tray. Each procedure should be done for around 30 minutes a day during 7-10 days successively. The built-in timer with a beeper function will help you keep track of each session and inform you timely when the session should be over. 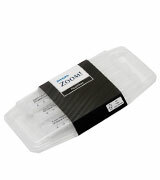 A kit includes a special plastic storage case for keeping your mouth tray sanitary and clean. Don’t forget to rinse the tray thoroughly after each whitening session to prevent bacteria from spreading. Thoroughly wash your hands before applying whitening gel, as germs on your hands may end up in your mouth. All-natural Castile soap made of organic, vegetarian oils will clean your hands without causing irritation and dryness to a sensitive skin. A liquid Castile soap can be used as a body soap, shampoo, or even laundry detergent. Whitens efficiently. This product demonstrates a satisfactory level of whitening, which is what the product claims to do. It whitened my teeth evenly and within the stated amount of time. Some people do not want to bother with at-home teeth whiteners, as they believe they aren't easy to use. This isn't true, though. 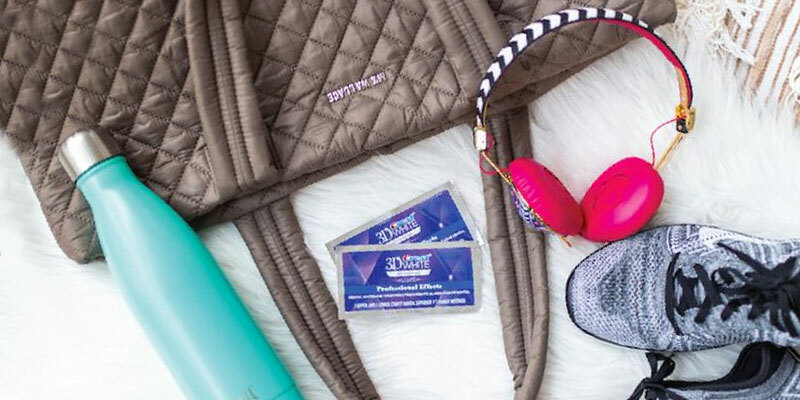 Crest company proves this point, launching into the market teeth whitening strips that are both effective and convenient to use. Each strip comes with a whitening gel coating and is ready for use out of the box. So, all you're left to do is apply the strips to your lower and upper teeth, wait for around 30 minutes and remove them. The Advanced Seal™ Technology provides no-slip grip to keep the strips in place. The gel contains a high concentration of Hydrogen Peroxide (14%), which reaches the inner tooth tissues without damaging tooth enamel and inflaming the gums. It means that this whitening product is suitable even for people with very high tooth sensitivity. Meanwhile, the strips help naturally whiten your teeth stained by drinking coffee or soda, smoking and other products that leave awful yellow spots. 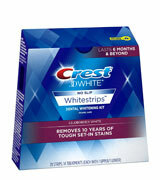 Use whitening strips every 6 months, and you'll have a dazzling white, confident smile! Using whitening strips just once a day for 30 minutes will bring you amazing results in less than 3 days! For best results, however, it is recommended to stick to the 14-day schedule and do not skip treatments. The kit contains 28 strips: 14 treatments (each with 1 lower and 1 upper). Thus, one kit will be enough to get a snow-white smile! Use a dental floss and brush your teeth thoroughly to remove food particles before applying the strips. By doing so, you will achieve a better contact of the gel with the surface of the teeth. Remove excess gel after each use. Don't wipe it off with your tongue or fingers. Rinse your mouth with a mouthwash or brush your teeth one more time. Taking good care of oral cavity and teeth health is necessary and is as important as the facial skin care. Therefore, we believe, you should also be interested in adding to your daily care routine one of the facial steamers we've reviewed in our other article. This handy appliance helps unclog the pores, reduce their size, and clean the skin of dirt and oil. Tried these on the first day, and it I started seeing results the very next day when I woke up. Great product, although just be aware to not spit too hard, I did so and the top strip got out of place. Having whiter teeth is the number one aesthetic concern of many people. 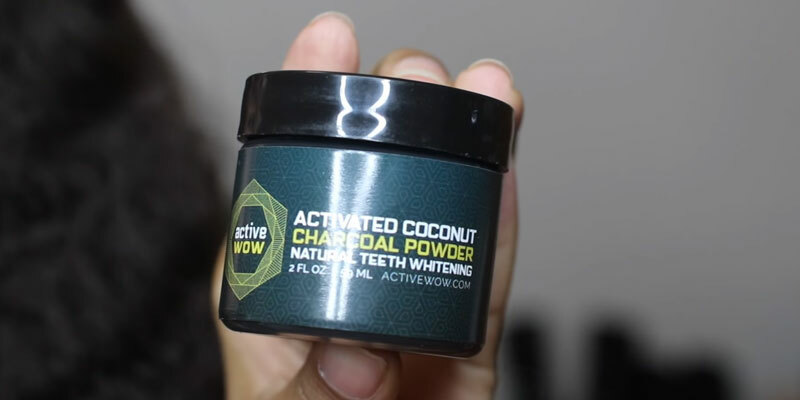 With the introduction of the ActiveWow Teeth Whitening Charcoal Powder to the market, however, it's now become a reality to restore the natural beauty of a pearly smile in the comfort of your home. 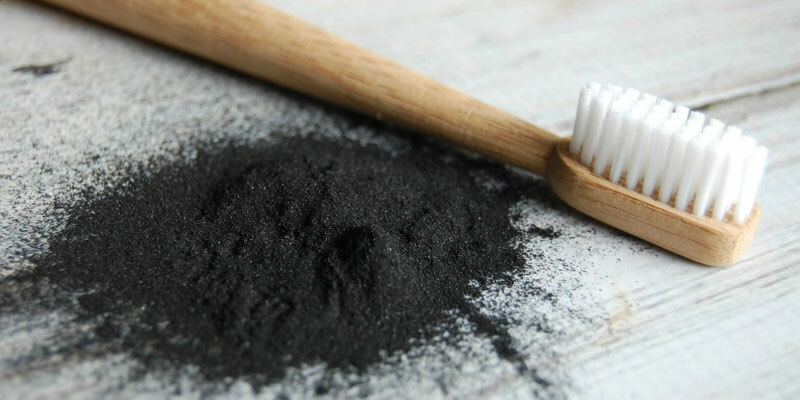 This black tooth powder contains activated coconut shell charcoal, which is recognized for its safe and salutary effect and absence of any unpleasant flavors. 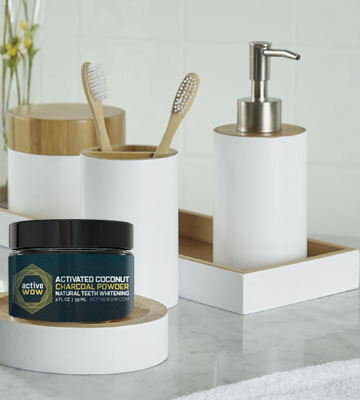 Active Coconut Formula helps whiten your teeth in a natural way, gently yet effectively removing yellow and brown tooth stains and plaque caused by smoking, drinking soda, coffee and other staining beverages. The powder is easy to use – wet your toothbrush slightly, dip it into the powder, and then dab off excess powder. Gently brush your teeth for about 1-2 minutes, and then rinse your mouth with water to remove the charcoal residue. Even though you might not like the look of your teeth covered in a black substance, the results will please you a lot. One glass jar with 2 fl oz capacity will be sufficient for 2-3 months of daily use. 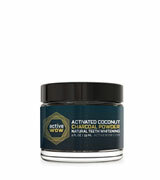 Besides, unlike whitening gels, the ActiveWow Teeth Whitening Charcoal Powder can be used for as long as it is needed. The main ingredient in this tooth powder is Bentonite; it helps effectively remove plaque, neither damaging tooth enamel nor triggering tooth decay. Also, Bentonite helps fill microfissures in the enamel and microtubules in the dentin, as well as reduces teeth hypersensitivity. The other component of the powder, orange seed oil, boasting excellent antiseptic and anti-inflammatory properties, helps strengthen gums and make them look much healthier. 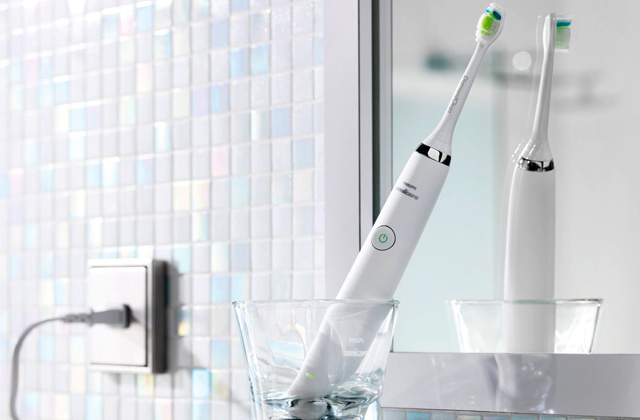 What Toothbrush is Better to Use? Today, there is a great variety of toothbrushes containing different bristle textures and created in different forms and sizes. Dentists recommend using soft bristle toothbrushes with tooth whitening powder, as they get into crevices easier and provide a gentler massage of the gums without causing irritation. Would you like to keep your beauty and hygiene products neatly organized? 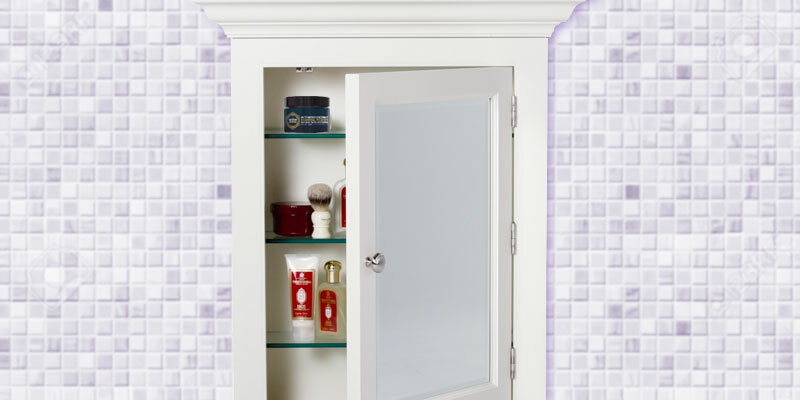 Then we recommend you to buy a medicine cabinet with several interior shelves to store and keep your facials and toiletries in order. I absolutely love this product..I noticed a difference after just one use. Everyone, has complimented me on how beautifully white my teeth look..I'm so glad I purchased this product. I also live the fact that is has all natural ingredients, no chemicals. 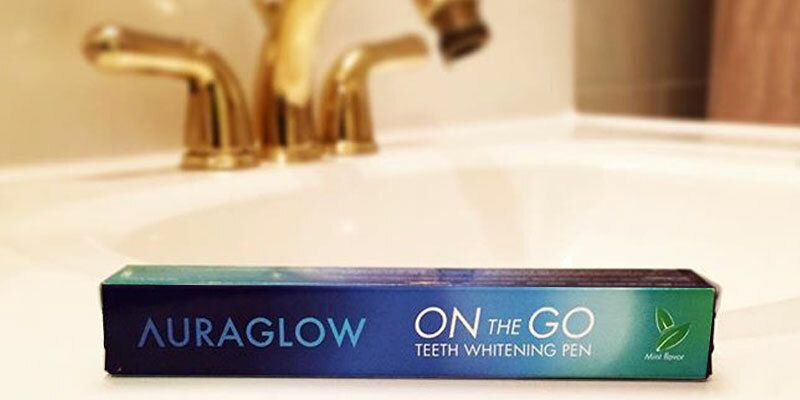 This compact teeth whitening pen is a perfect solution for busy people who are always on the run and eager to achieve a whiter-looking smile. 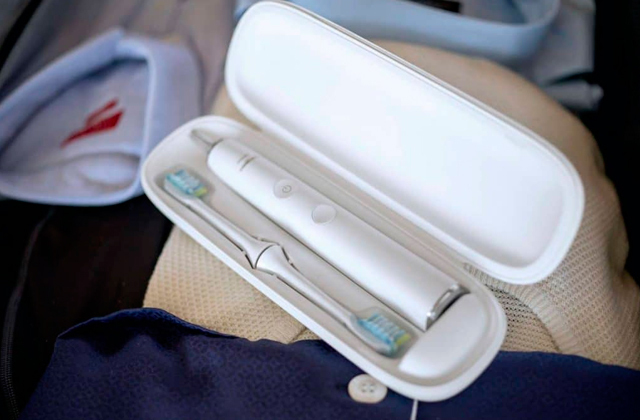 It enables you to effortlessly whiten your teeth at home or on-the-go. Use it for 1-2 minutes a day, and your teeth will become 4-8 shades whiter in less than 10 days. This 5-inch teeth pen fits snugly in your pocket or small purse. The home bleaching procedure is very simple. 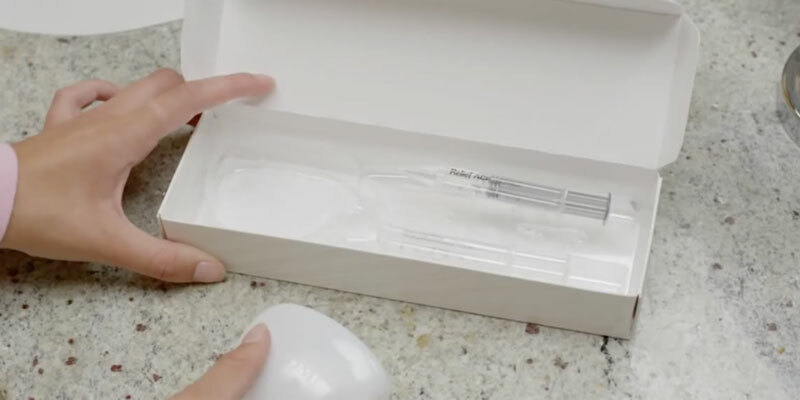 The whitening pen uses a strong twisting mechanism to push the gel through the brush tip. Not only does it help more economical use of the gel but it also prevents it from drying out. The gel contains 35% Urea Peroxide - an effective agent used for removing yellow stains, and has a refreshing mint flavor. 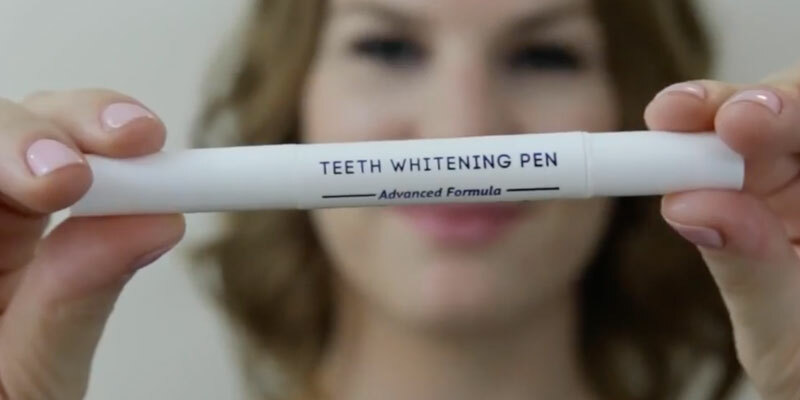 Given that you use this whitening pen daily as it is recommended, the results won't make you wait for too long, and you will see a big difference in the color of your teeth already after several treatments. Do you smile broadly or hide your teeth through closed lips? Using the AuraGlow Teeth Whitening Pen is an excellent way to get a beautiful Hollywood smile! Put a wide smile on your face, applying the gel on the outside of each tooth, wait about a minute and then relax your smile. Don’t eat and drink for an hour. Don't worry about excess gel left on teeth; it is absolutely safe and doesn't destroy tooth enamel. Although it is still better not to swallow it. A tube contains 0.06 fl oz (2 ml.) that is enough for more than 20 applications. 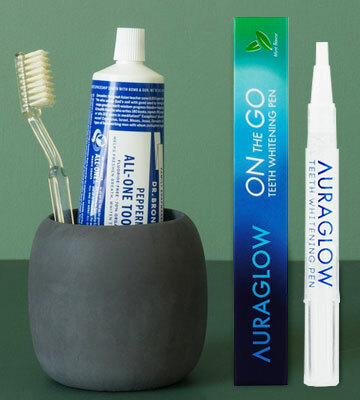 The AuraGlow Teeth Whitening Pen has an innovative see-through tube design, enabling you to see how much gel is left in the tube. It may take you from 7 to 10 days of continuous treatment to achieve visible results (depending on the degree of staining and the desired level of whitening). And it's not recommended to interrupt the whitening course. Hand washing helps you stay healthy, protecting your body from germs that can get into foods. If you are acne-prone, don’t touch your face for any unnecessary reason, as it may lead to acne breakouts. Keep a compact bottle of hand sanitizer in your purse and use it anytime you need. Pleased with the results of this product. Even after the first use, I can see a difference. I have noticed sensitivity when I use strips and did not notice when using this pen. We'd like to offer to your consideration a teeth whitening solution that will no doubt exceed all your expectations - the Philips Zoom Teeth Whitening! This gel contains 22% Urea Peroxide, the agent, which efficiency has been studied and clinically approved. Regularly using the Zoom NiteWhite, you will be able to achieve up to several shades whiter teeth after 2-3 treatments already. The kit includes 3 syringes (0.08 fl oz each) with a sufficient amount of whitening gel for 15 treatments. A mouth tray is not included, so you will need to buy one either separately or get a custom-made tray at your dentist's office. The teeth whitener is really easy to use. Firstly, thoroughly brush your teeth to remove any food residue. Then apply some gel to the mouth tray and put it on your lower and upper sets of teeth. If you spot any excess gel on your gums, wipe it away with a cotton bud. Wait for 1-2 hours (consult your dentist about the exact time). In the end, remove the tray, rinse it off, and brush your teeth again. This teeth whitener is available in different packs allowing you to choose a suitable one with accordance to your individual needs, lifestyle, and teeth sensitivity. DayWhite. Treatment duration - 2 weeks. -14% Hydrogen Peroxide: 2 times a day for 15 minutes. NiteWhite. Treatment duration - 1 week. -22% Urea Peroxide: 1-2 hours in the evening or before going to bed. 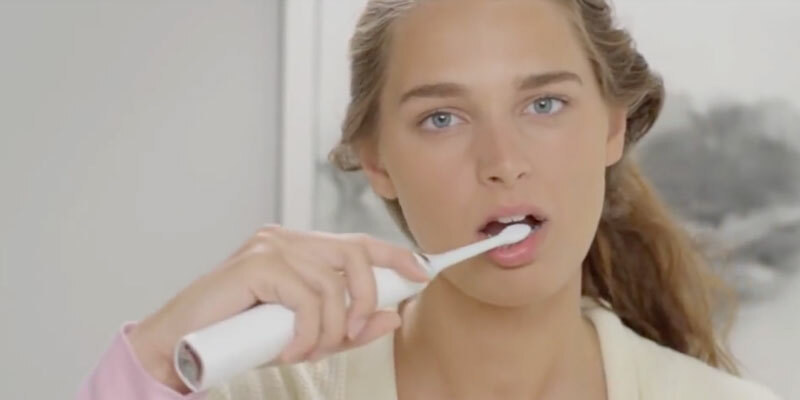 Philips offers the Endless Whitening Program to reward current patients and attract new ones. What are the requirements for joining this program? First of all, visit your dental professional to find out if you are a tooth whitening candidate. Then, purchase a whitening kit (take-home or in-office), including custom-made whitening trays. Once you enroll, keep maintaining your regular hygiene appointments, prescribed by your dentist. After each appointment, you'll get a free whitening syringe for life. For more details, visit philipsoralhealthcare.com or call (800) 422-9448. If you play baseball or American football, it’s very important to wear a sport mouth guard to prevent damage to the jaw and reduce the risk of dental injuries. Also, we recommend you to buy a sports water bottle to quickly replenish your body's water reserves during the game. Have used this product before with great results. My dentist sells the same zoom kit for almost $150. This is a great deal on Amazon. A smile is the first thing people notice about you, so enhancing your smile's natural aesthetic and beauty is the best investment you can make. Proper oral and dental care is important in keeping your gums and teeth healthy. A good way to enhance your teeth's appearance is through a whitening treatment. Teeth whiteners can make your teeth several shades whiter after a couple of treatments! 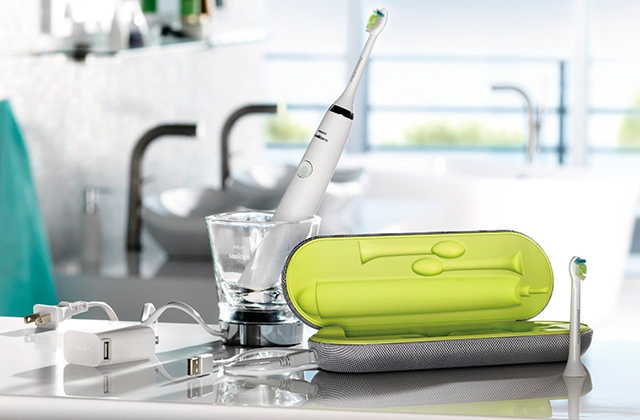 An electric toothbrush will effectively remove plaque and food particles. 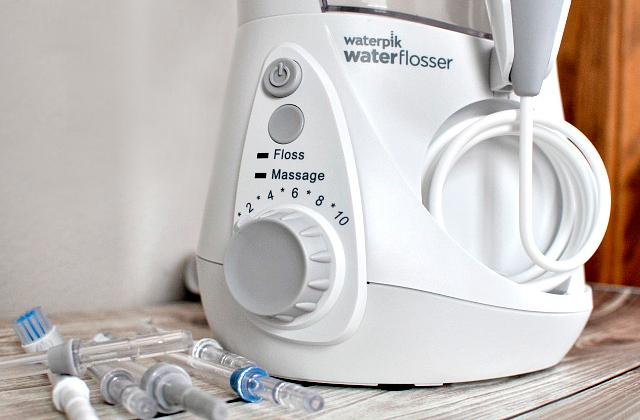 And an oral irrigator will help thoroughly flush out your mouth, getting into the tiny gaps between teeth. There are different methods of teeth whitening. One of them is to go visit a dental professional. If you've got money and time to go to a specialist 7-14 days in a row, this method will obviously suit you well. For those, who are often tight on a schedule (and those looking a cheaper way to take care of their health too), there is one more popular method of whitening teeth - use at-home whiteners, delivering the same results and yet, being much more affordable for most users. Keep in mind, however, only those people who don't have damaged tooth enamel, gum disease, or tartar buildup are allowed to undergo teeth whitening procedure. Today, many types of teeth whiteners are available on the market, including whitening toothpastes and rinses, gels, strips, and even lasers and lights. Let’s consider the pros and cons of various teeth whitening products. Laser/Light whitening. It’s considered a very effective treatment. The laser activates a bleaching gel for dramatic, quick whitening results after the very first application. The treatment duration is 1-2 weeks. Whitening toothpaste. It can also come in a powder form. Use it twice a week instead of or as an addition to your regular toothpaste. It normally takes about 1-2 weeks to achieve a noticeable effect. Whitening rinse. It’s used after brushing. However, mouth rinses are less effective since the whitening agent is not able to penetrate the deeper layers of enamel. 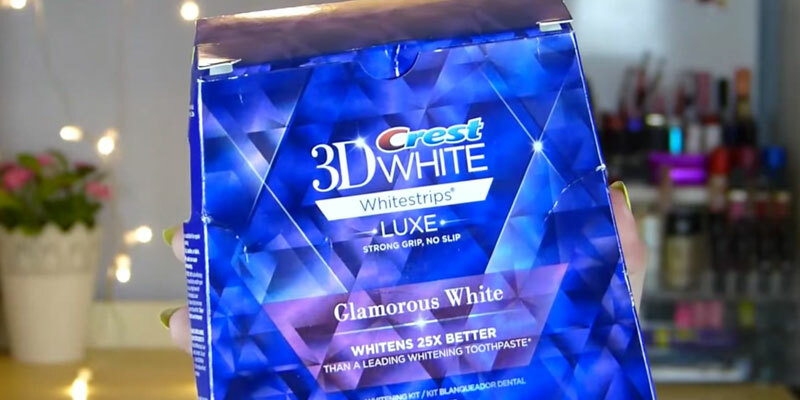 So, the whitening effect may be not as good as you expected. Whitening gel. It’s the most popular and highly effective way to get a beautiful snow-white smile. You can apply it either directly to your teeth or to the mouth tray before putting it over your teeth. Whitening gels may also come in the forms of strips which you can stick to your teeth avoiding their contact with your gums. A teeth whitening treatment can last from several sessions to two weeks. The length of treatment depends on many factors - teeth and gums condition, causes of stains, tooth decay, and etc. Hydrogen Peroxide or Urea Peroxide (also known as Carbamide Peroxide) are the main ingredients in almost all at-home teeth whiteners. Although Hydrogen Peroxide is more concentrated than Urea Peroxide, both agents are considered very effective. Teeth whiteners may also contain organic mint and menthol extracts to give users a fresh breath. The last but not the least, make sure to check out the package of the product and learn the estimated duration of the full treatment. Remember, the procedure course (7 or 14 days) shouldn't be interrupted halfway through the end, therefore, if you aren't sure whether one kit will be sufficient, buy several in advance. Q: How many shades whiter teeth can I expect? A: The results of whitening cannot be predicted. It will greatly depend on how discolored your teeth were in the first place. In general, teeth may whiten from 6-12 shades. The surface stains, yellow or uniformly darkened teeth are easier to lighten. With heavily stained teeth, you may need additional treatments to achieve the desired results. A: It’s not permanent. This mainly depends on the foods and drinks included in your everyday diet and your dental hygiene habits. Normally, the effect from the bleaching process lasts from 6 months to a year before another whitening treatment is needed. However, periodic treatments may be recommended for those people who smoke, drink coffee, colas, iced tea, red wine, and other staining beverages, as the whiteness may start to fade. Q: Is a bleaching process safe? A: Yes, the whitening light and gel ingredients are absolutely safe for cosmetic teeth whitening. 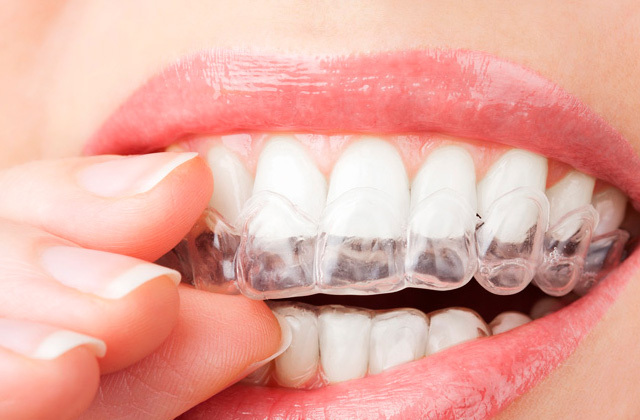 The dental industry has been using these gel products and technologies for many years. Studies have showed no effect on the mineral content of the enamel surface. Q: Does a whitening process hurt? A: Most patients experience no sensitivity or pain. A small percentage of people experience slight tingling sensations. If tooth sensitivity occurs, it’s recommended to avoid very cold or hot drinks. If sensitivity persists, it’s better to contact your dental professional. If the bleaching gel comes in contact with the gums, it may cause temporary inflammation. Q: Are crowns affected by the bleaching? A: Hydrogen peroxide has no negative effect on the integrity of your crowns. Q: Can naturally tinted teeth be whitened? A: Naturally tinted or deeply colored teeth may never become snow white. Though removing stains will significantly improve your smile. Q: Is whitening for every person? A: It’s not recommended for pregnant and nourishing women, diabetics, children under 14, and people with periodontal problems. It's better to consult your dentist prior to using any whitening treatment. A: Your white smile can be maintained longer if you avoid the foods and drinks that cause staining. 1. Lisa Hill Choose the Best Teeth Whitener, WebMD. 2. Derek Lakin How to Choose an At-Home Teeth Whitening System That Works, Highya. June 26, 2015. 3. Claire Goodall 3 Natural Ways to Whiten Teeth at Home, Everyday Roots. 4. Whitening: 5 Things to Know About Getting a Brighter Smile, Mouth Healthy. 5. Tooth Whitening, Wikipedia. April 13, 2017. 6. 6 Advantages of Laser Teeth Whitening, Search Home Remedy. 7. Erin Coleman The Pros and Cons of Teeth Whitening: Is It a Good Idea? Benefits Bridge. September 4, 2016. 8. Dr. Harold Katz Professional and At-home Teeth Whitening, TheraBreath. 9. How to Get Whiter Teeth at Home, wikiHow. 10. Teeth Whitening, Dear Doctor.